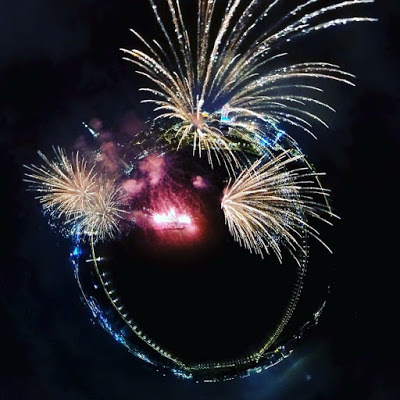 Check out these awesome aerial 360 fireworks photos from the Insta360 Nano! Insta360 Nano (reviewed here) is a fully spherical 360 camera that attaches to your iPhone so that you can use your iPhone’s large screen for viewing and controlling the Nano, and for sharing your photos and videos to Facebook, YouTube and other social media. 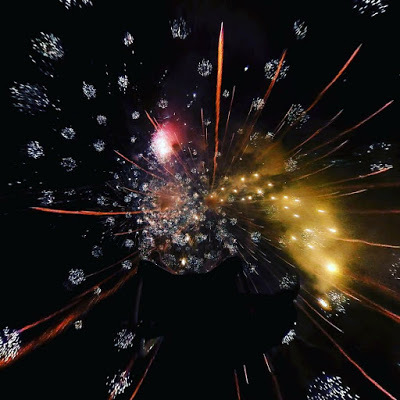 Believe it or not, these are not photos but are frame grabs from the 360 video. Because of the Nano’s high quality 360 video, the frame grabs have more than enough detail, color, and dynamic range to be used for 360 tiny planet photos. The Insta360 Nano is available from Amazon (currently around $200) with free Prime shipping. For some areas, Amazon will even do free same-day shipping (you’ll receive the order on the same day that you order it).